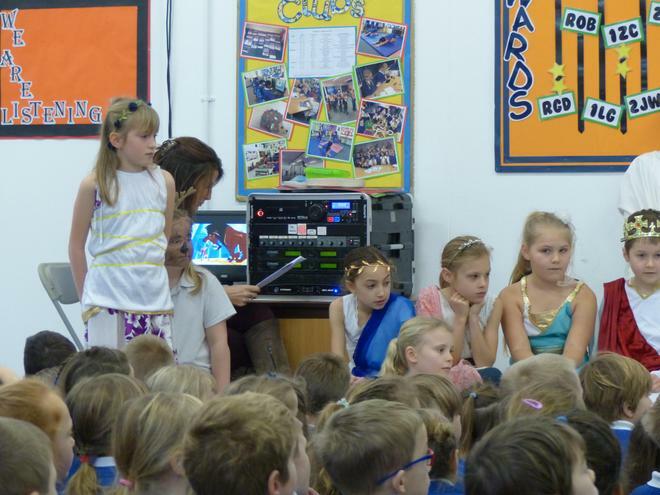 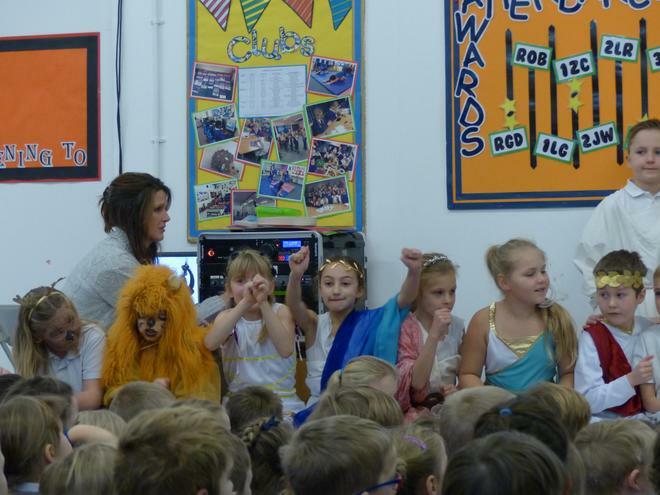 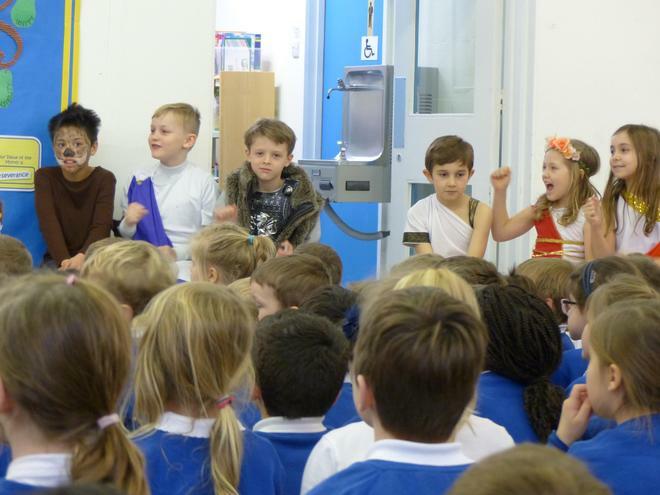 We were all given a treat this morning as 4HJ kicked off the first class assembly of the year. 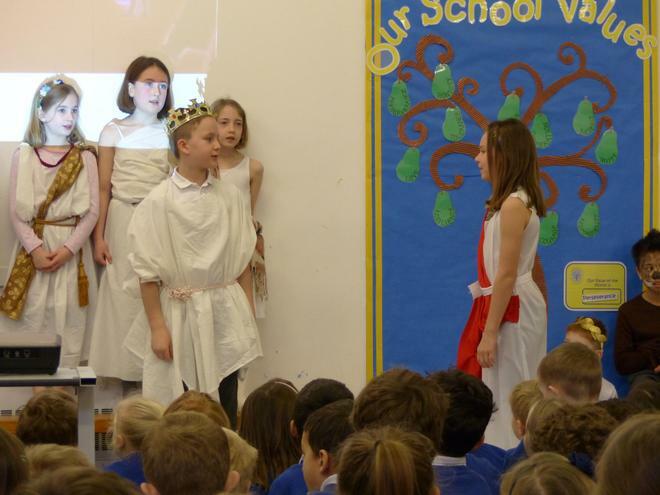 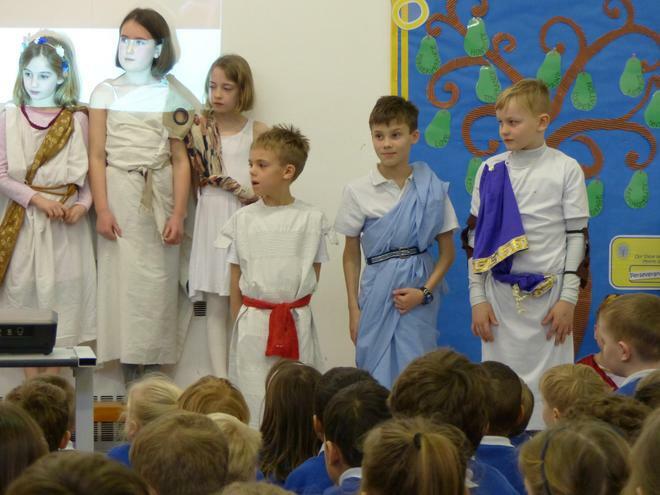 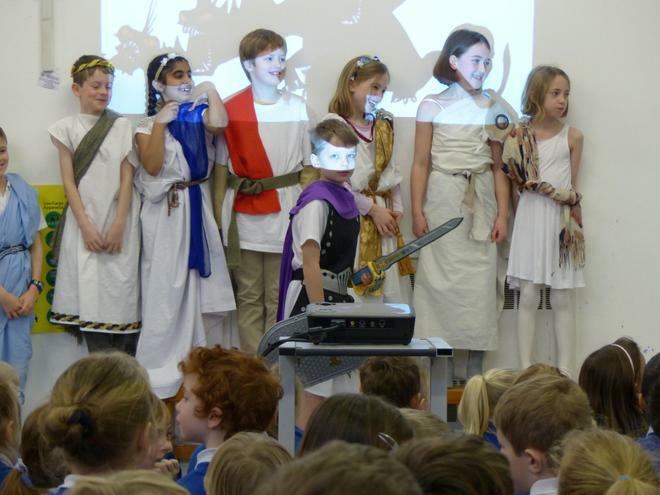 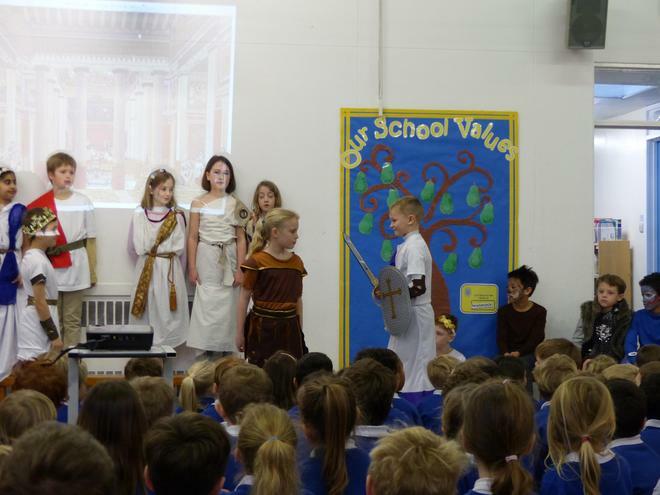 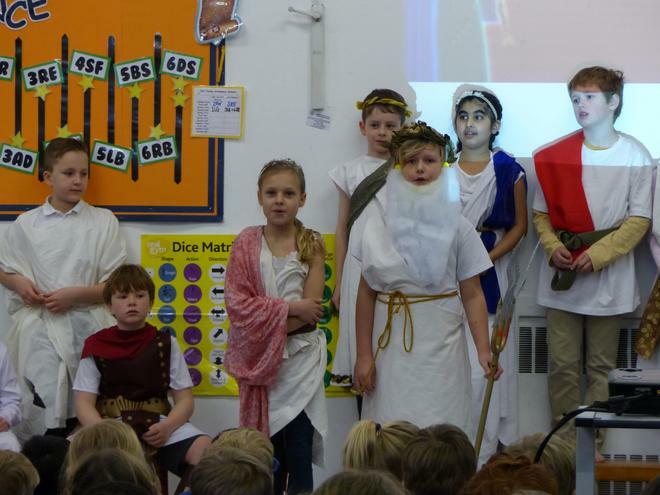 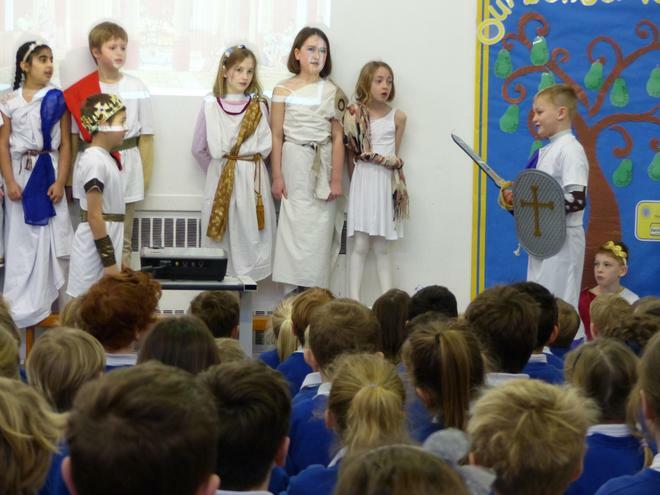 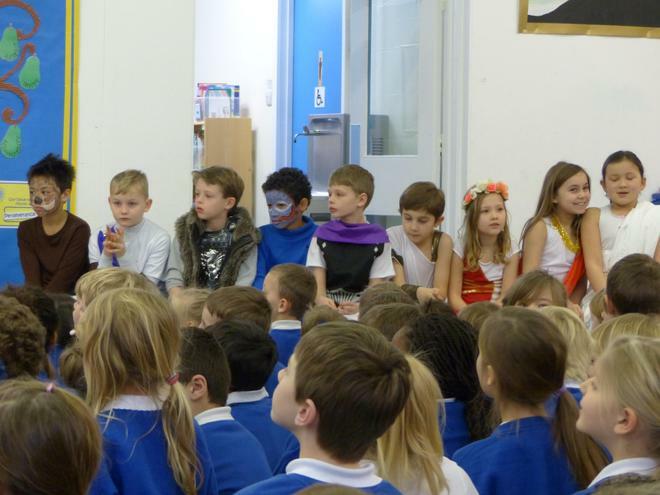 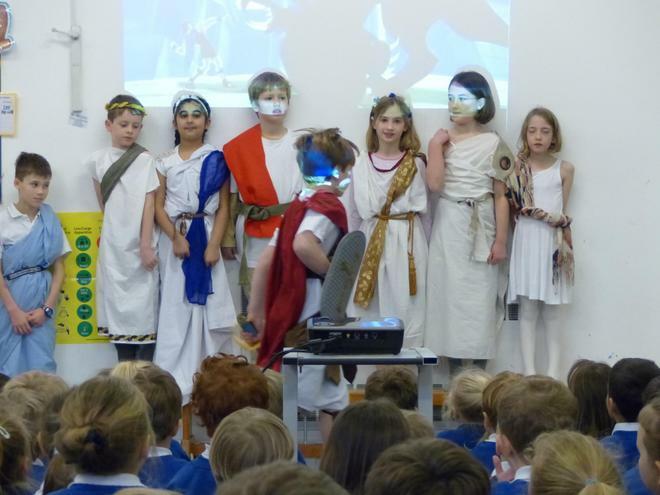 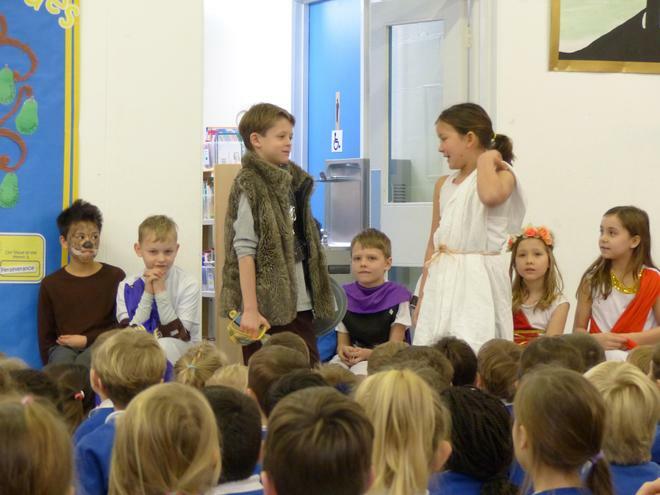 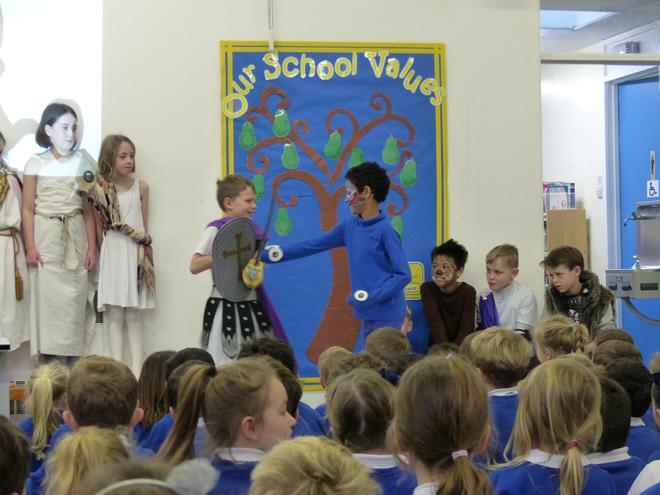 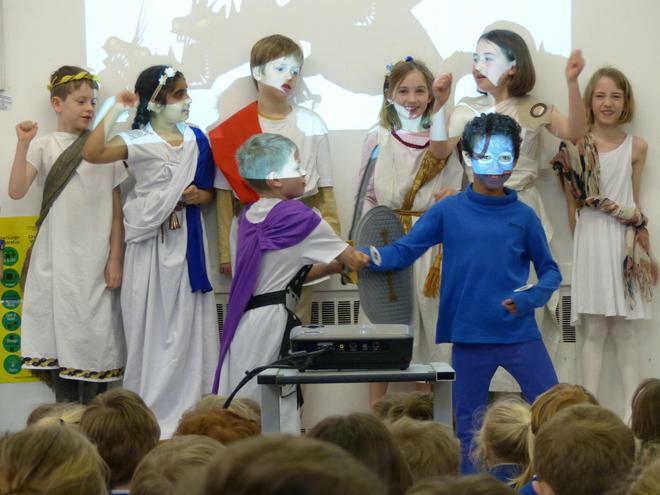 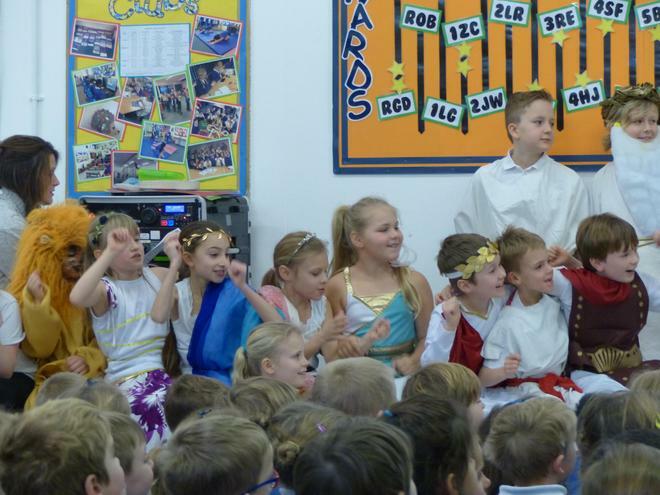 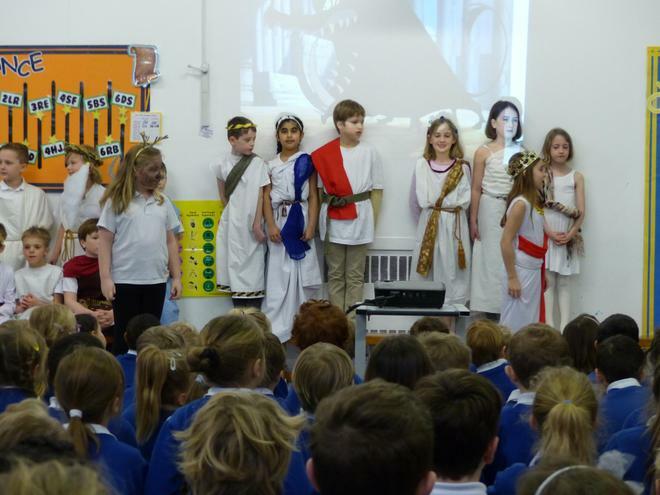 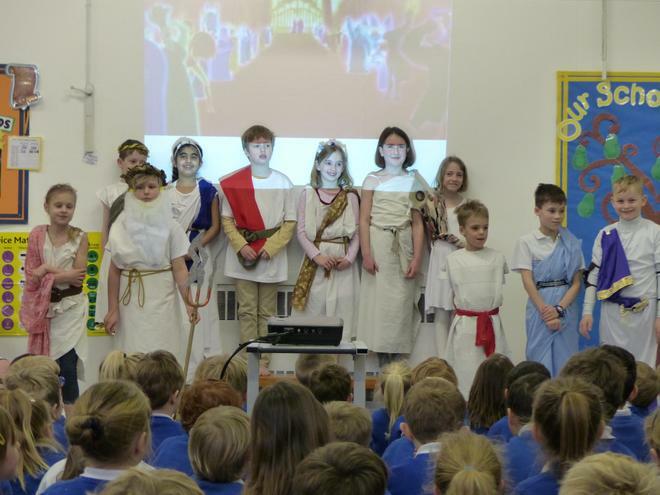 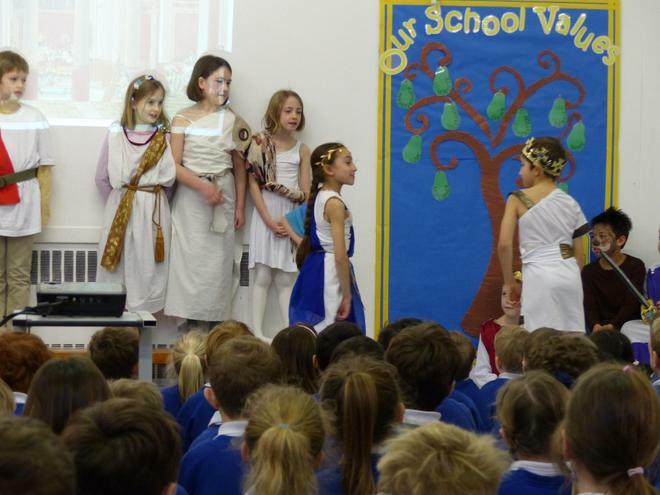 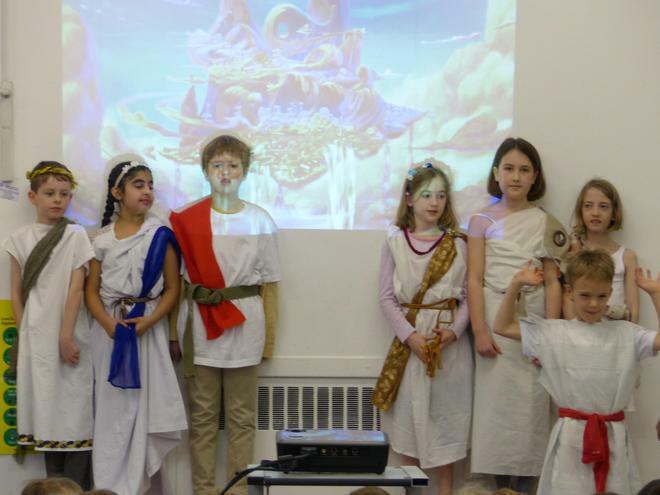 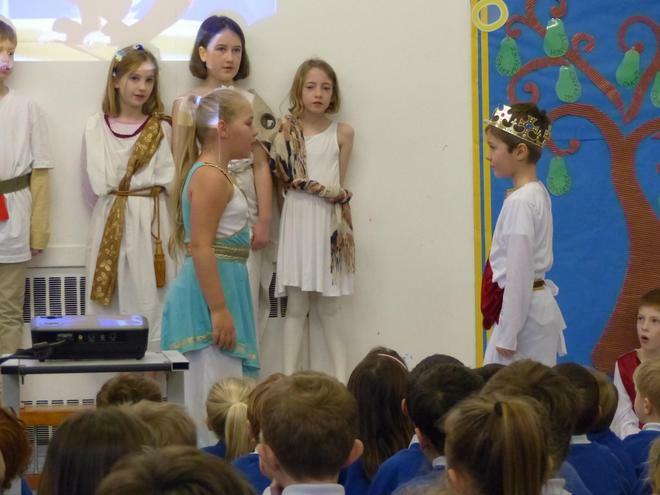 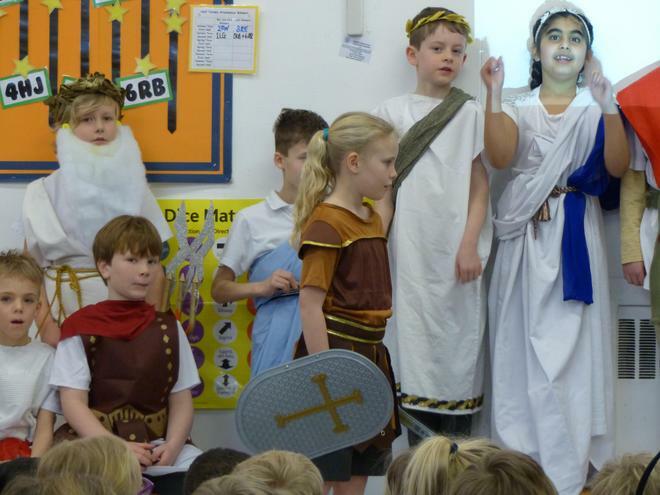 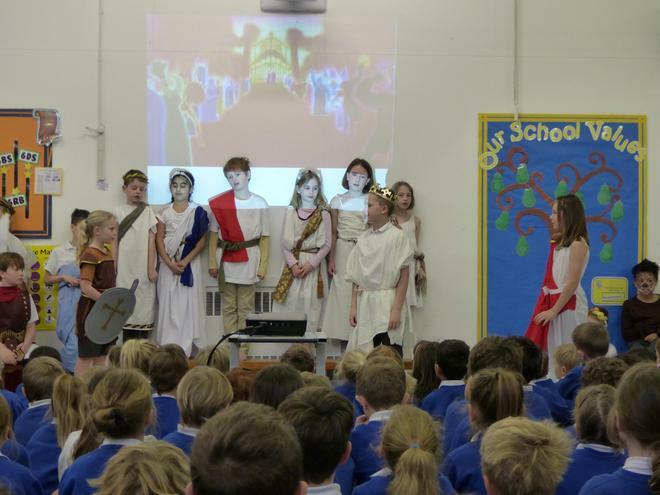 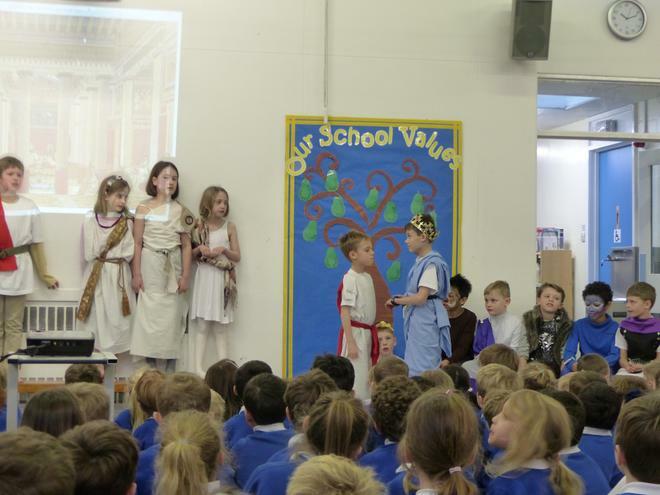 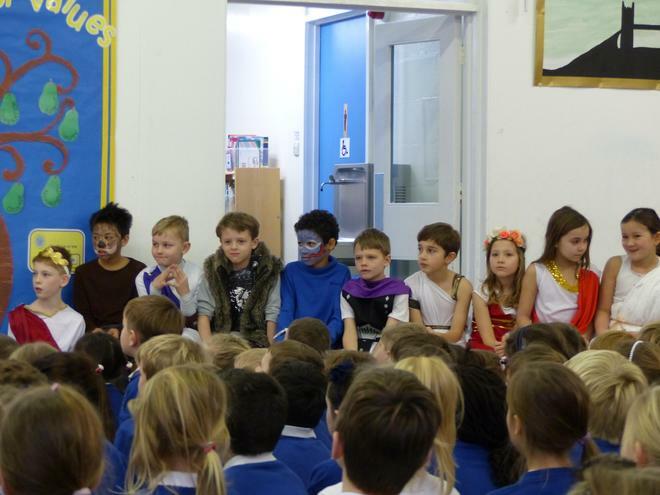 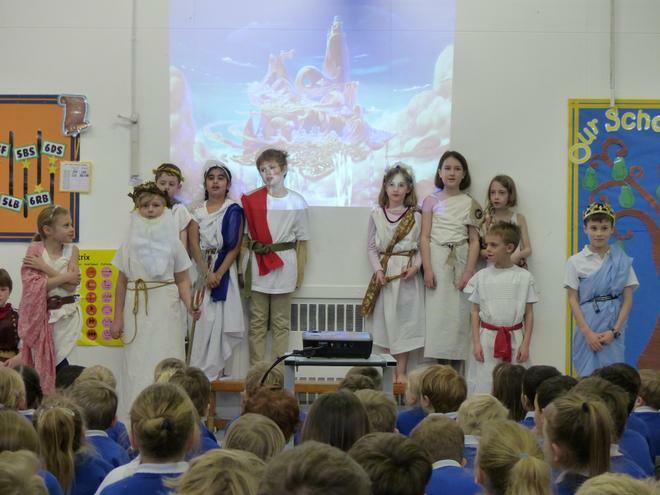 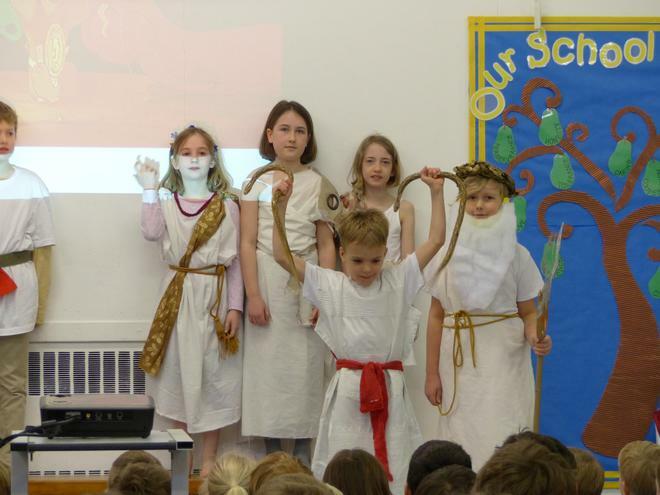 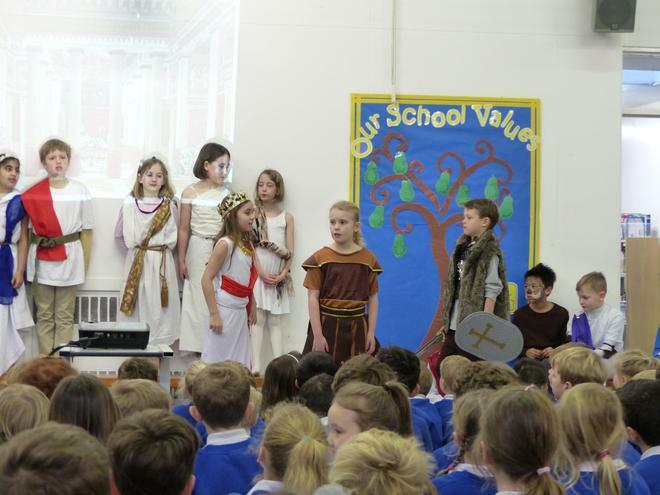 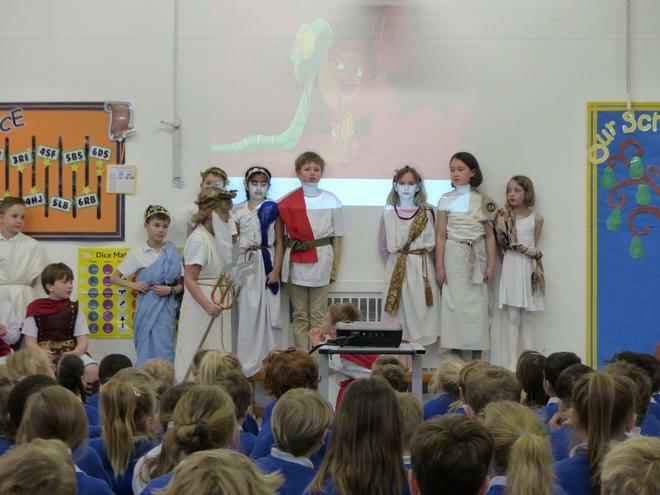 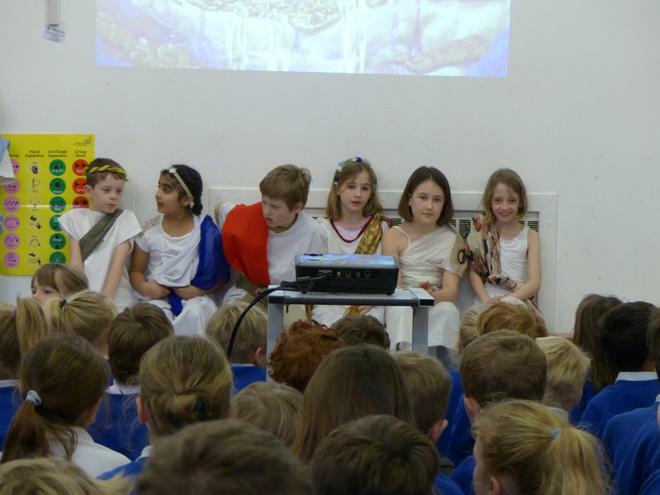 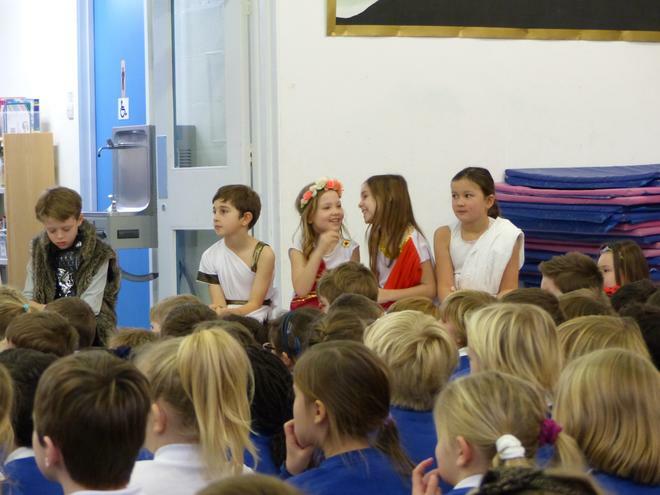 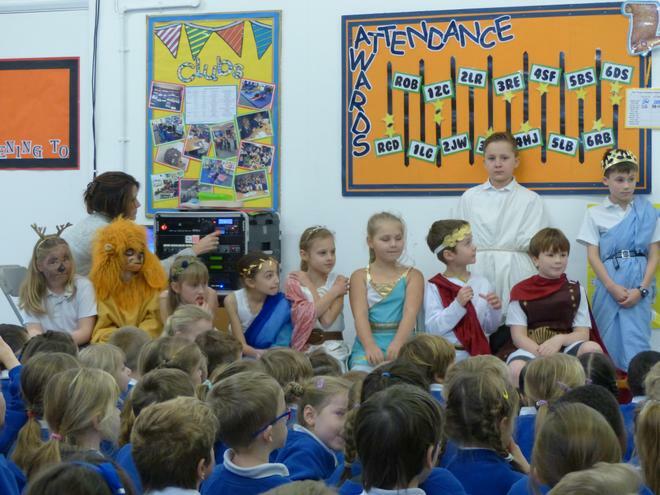 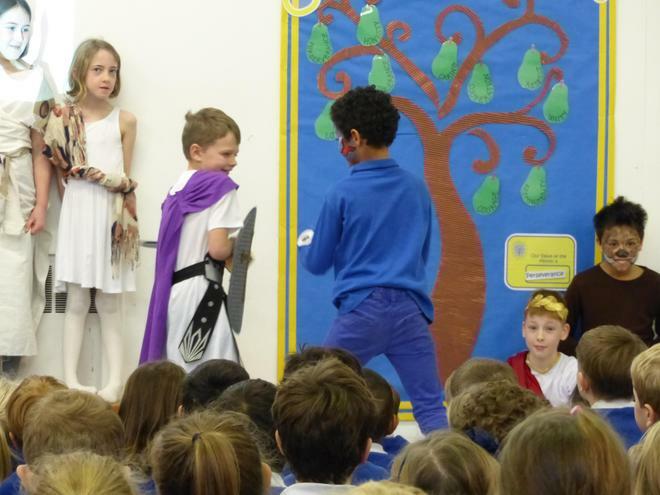 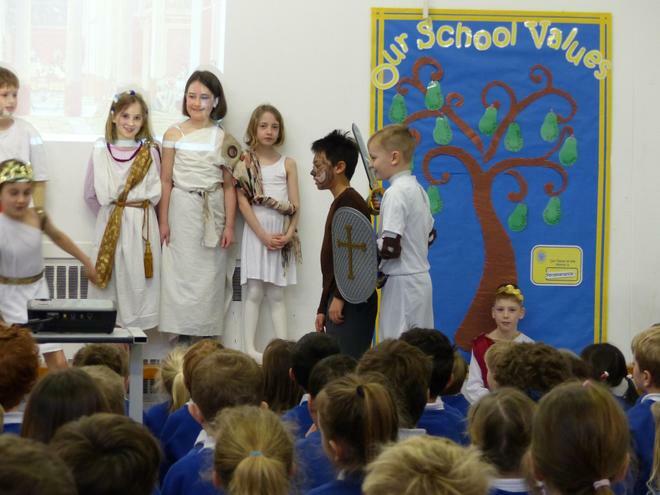 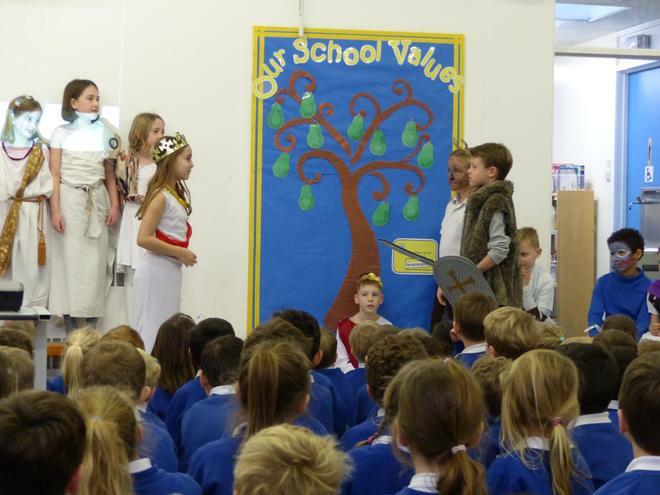 They have been studying the Greeks this term and have been busy writing their own versions of the Heracles story. 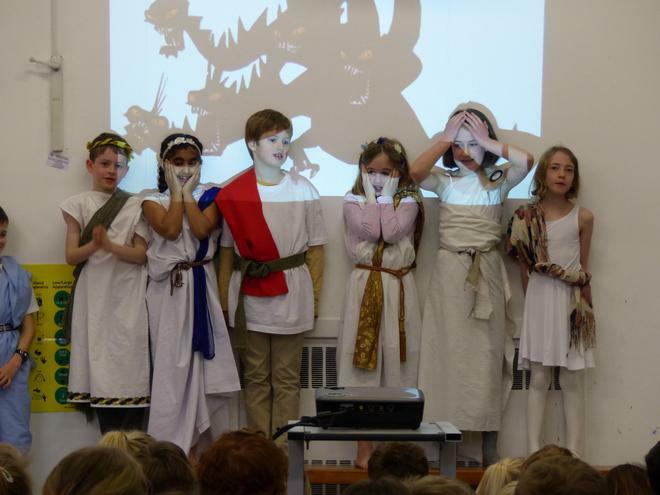 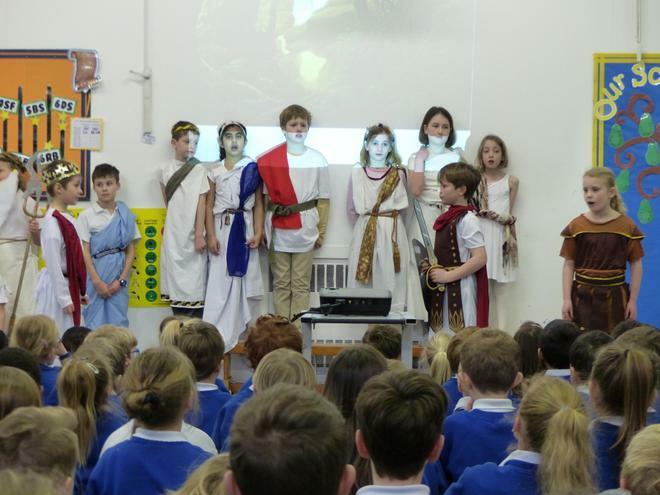 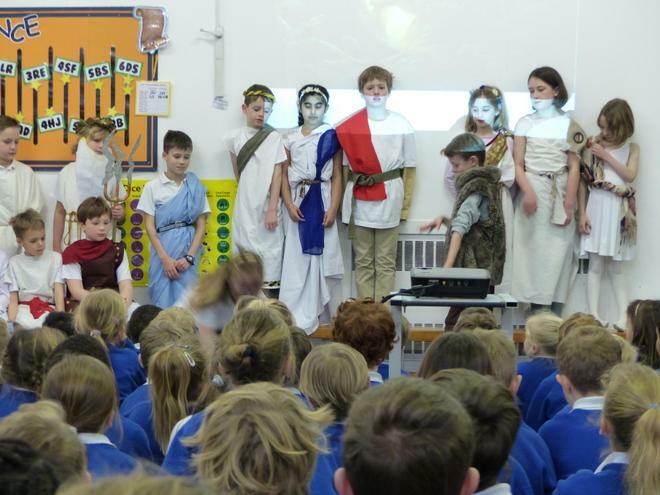 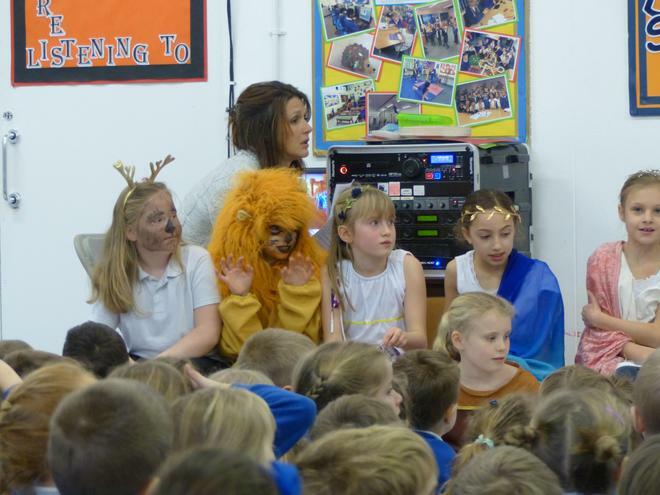 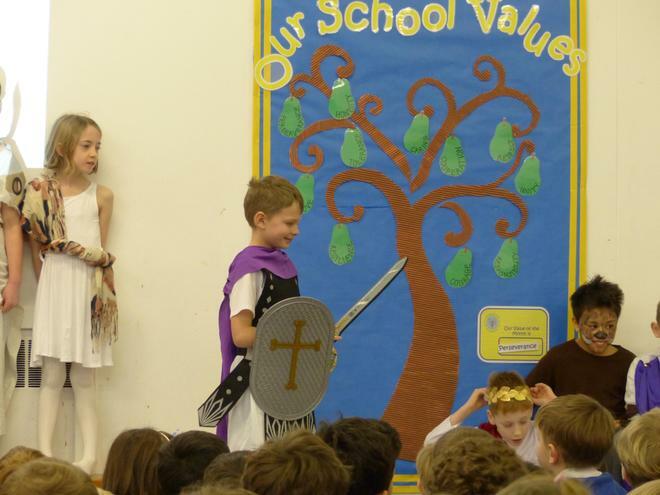 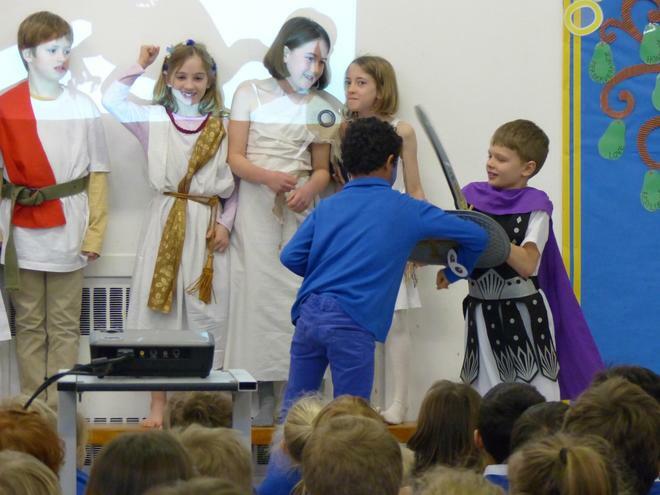 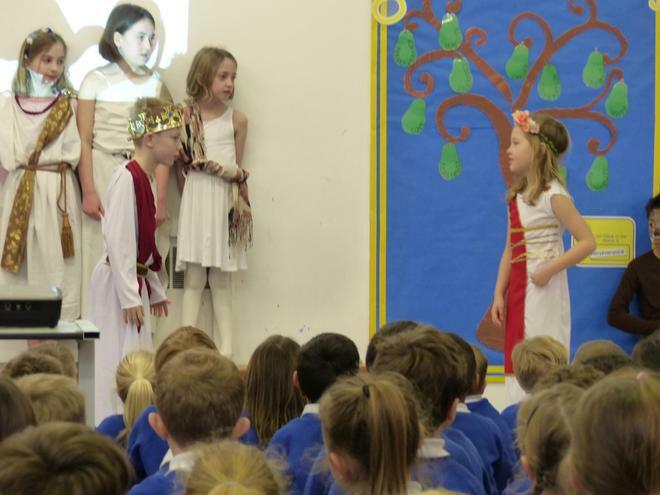 With some toe tapping songs and fantastic acting we learnt all about his heroic adventures against Two headed Hydras, ferocious lions, wild boars and Golden Horned Stags!